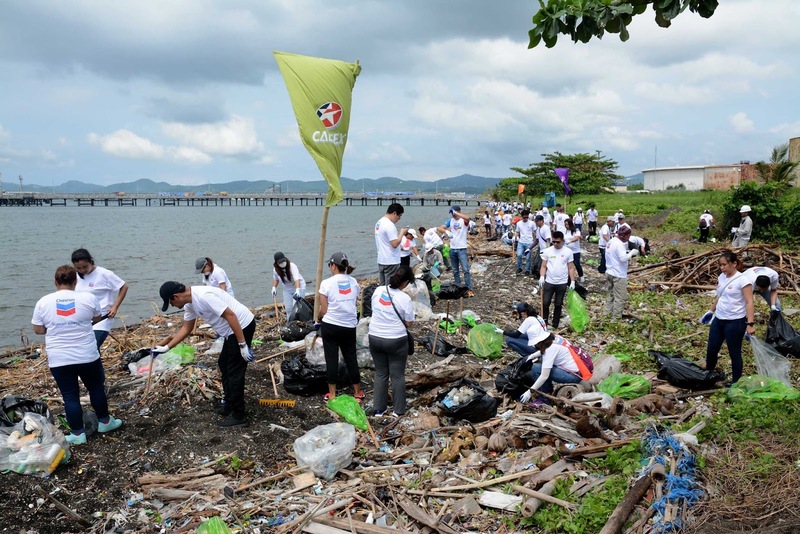 Employees of Chevron Philippines Inc. (CPI), marketer of Caltex fuels and lubricants, teamed up with over 200 townsfolk and local government officials of San Pascual, Batangas to fill more than 400 trash bags which amounted to 1.47 tons of rubbish during the coastal cleanup or day four of CPI’s annual Volunteer Week activity. CPI, which maintains a terminal nearby, coincides the annual cleanup during the breeding season of the vulnerable Olive-Ridley sea turtles. Because of the coastal cleanup which started in 2007 and regular patrols of CPI security, turtle sightings along the beach have increased steadily over the years and CPI has notified the Department of Environment and Natural Resources-Protected Areas and Wildlife Bureau (DENR-PAWB) which has officially declared the area an Olive-Ridley Sea Turtle Nesting Ground in 2014. The DENR-PAWB also trained the personnel of Chevron’s Batangas Terminal in a sea turtle encounter seminar. This resulted in an increase in survival rates of newly-hatched Olive-Ridley turtles along the coastline. With the ongoing cleanup and regular patrols of CPI, even whale sharks were sighted feeding around the maritime area along Chevron Batangas Terminal. This year’s coastal clean-up is made even more special as it marks the tenth year CPI has been holding the Volunteer Week. Aside from CPI employees, the volunteers were comprised of teachers from San Pascual Central School, San Pascual Baylon Parish, barangay officials, and members of the municipal government. Caltex retailers were also part of the cleanup, as well as employees of Chevron Holdings Inc.(CHI), which provides office support to various Chevron offices worldwide. The shoreline along Chevron Batangas Terminal is also San Pascual’s only coastline. “Helping clean the environment is not new to CPI employees as we have been doing this annually for the past ten years. We get to reconnect with the local community and highlight our culture of safety and health which is a key part of our operational excellence,” shared Louie Zhang, CPI Country Chairman. 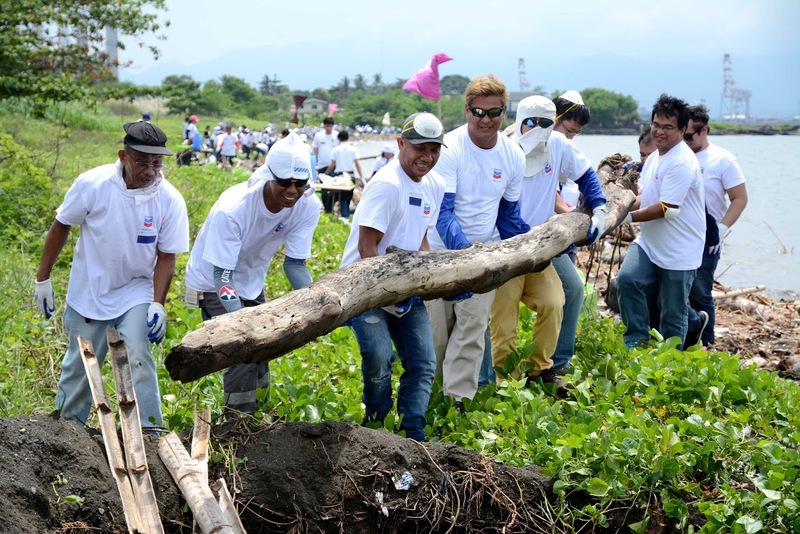 The yearly coastal clean-up is the final activity of the week-long WOC program which saw Chevron employees and Caltex retailers engaged in social investment in livelihood, health, safety and environment.